They are truly the most comical, adorable, stubborn, naughty, mischevious beings in the dog world. They will love you like no other, but they will also burp in your face, not to mention what that smell is when they are gassy, you will know it! Still want a French Bulldog??? We have been involved with raising and showing dogs for over forty years, but mainly sighthounds. 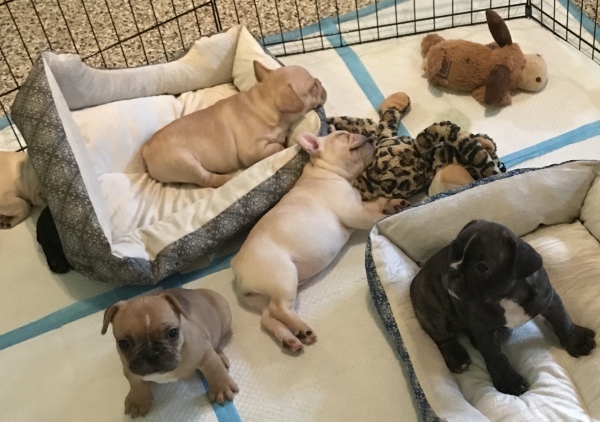 Then we discovered the French Bulldog a totally different concept. And voila!! We are hooked and you will be too! All our dogs are house pets. They are fed Taste of The Wild Grain Free Venison or Salmon. We cook for them every day, so their diet consists of high quality kibble, Taste of the Wild Venison or Salmon. They have fresh Chicken, Beef, Hearts and Gizzards. As well as a poached egg. We share our home with them as our babies, we love each and every one of them and we are living our dream!! 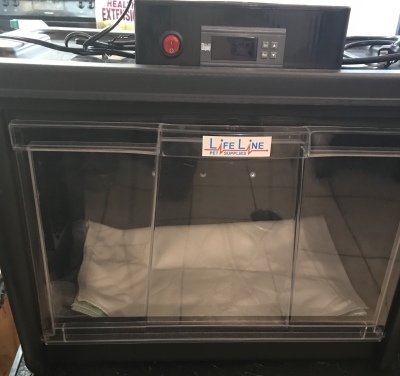 This is our lifeline, any puppies that are cold, or just not doing too well after birth get to spend time in our incubator. It's also very useful if Mom has a C-Section and we can keep the puppies warm until she recovers. 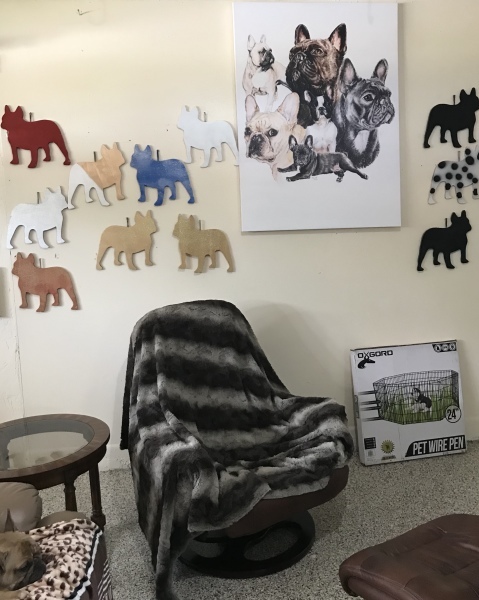 We have a designated puppy room, so that our future babies owners can come and sit and play with their puppies,before they take them home have a coffee and of course talk about Frenchies! Animal Planet is on all the time:-) We encourage our puppy owners to visit at four and six weeks. There is always time for Cookies!!! Ms. Barbra, our African Grey who keeps the puppies entertained...and brings us running with her doorbell and dog noises! 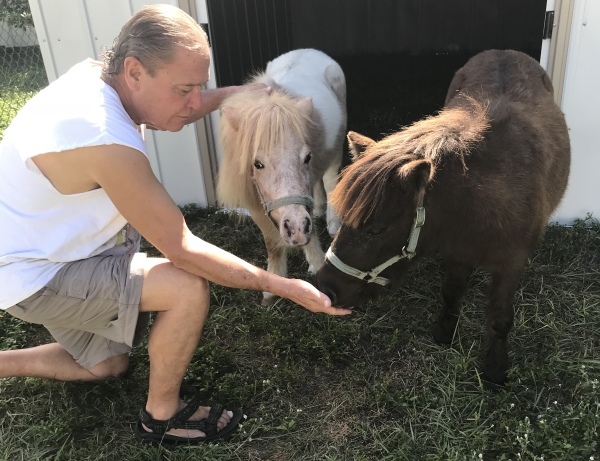 and our Miniature Horses Isabel and Sophie, who really think they are dogs! Our puppies are exposed to lots of different scenarios!! COMING IN FEBRUARY 2019 OUR NEW VENTURE WE WILL BE ABLE TO COME TO YOU AND DO AN ULTRASOUND SCAN IN YOUR OWN HOME! NO MORE WONDERING AND WAITING TO SEE HOW MANY BABIES MOM IS HIDING IN THERE. !